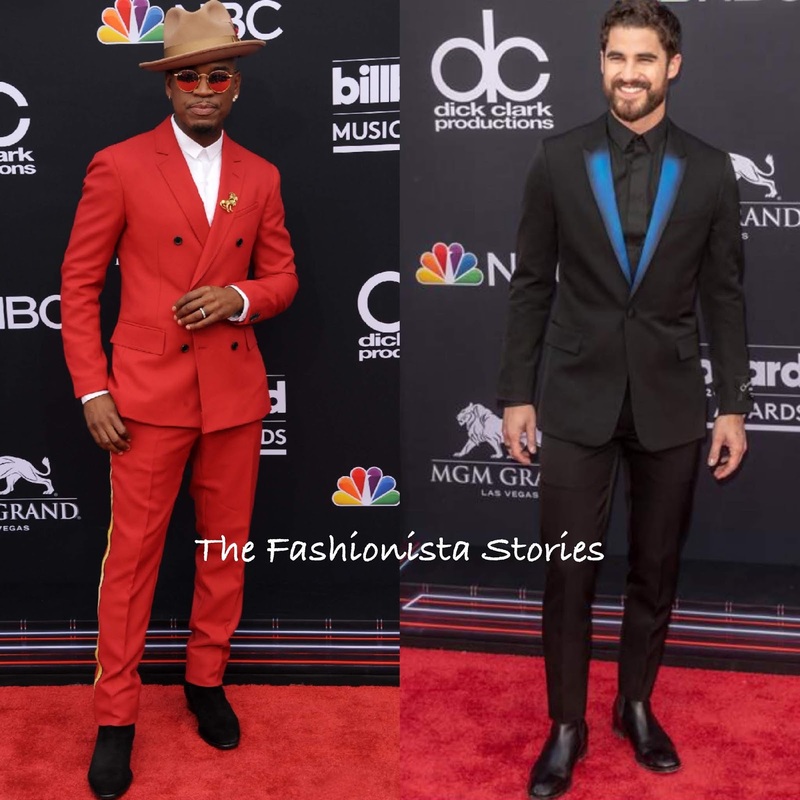 There were some good looking men at the 2018 Billboard Music Awards yesterday evening(May 20th) at the Grand Garden Arena in Las Vegas. To see all of the celeb looks, click HERE and check out a few of the mens look. Ne-Yo stood out among the men wearing a CALVIN KLEIN red two-piece suit with yellow side stripe trousers. His jacket which teamed with a simple white shirt underneath, was adorned with a gold statement brooch. He also accessorized with a tan hat, red metallic glasses and black shoes which topped off his look. Darren Criss wore a DIOR HOMME PRE-FALL 2018 black two-piece suit which was teamed with a black button down shirt & shoes. The cobalt blue airbrush lapels is what keeps his look interesting. John Legend stepped out in a navy & white logo printed blazer & white printed shirt by GUCCI which he teamed with khaki pants and white sneakers. 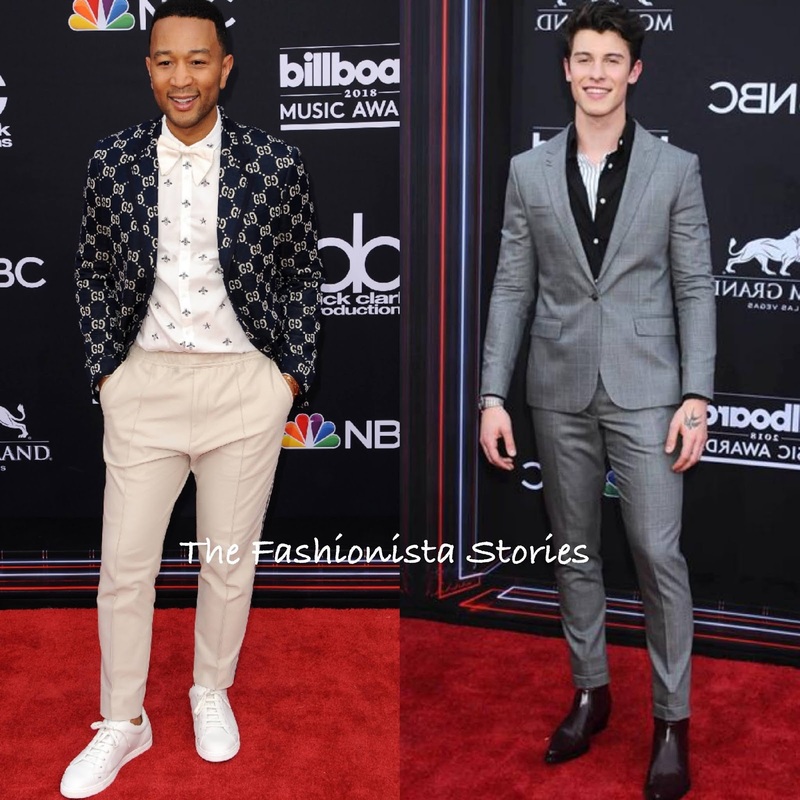 Shawn Mendes wore a THE KOOPLES grey two-piece suit which layered with GIORGIO ARMANI shirts underneath. His look was topped off simply with a cool pair of burgundy CALVIN KLEIN boots.